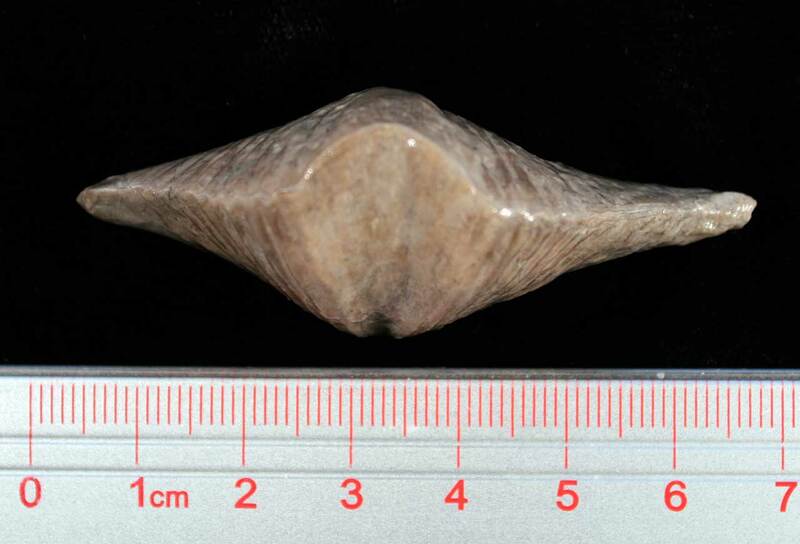 Look at the wingspan on this fossil brachiopod, it is not fully intact yet measures about 7 cm. Yeah baby! 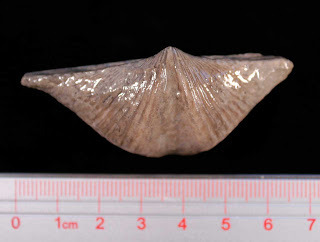 This brachiopod is a Platyrachella sp. 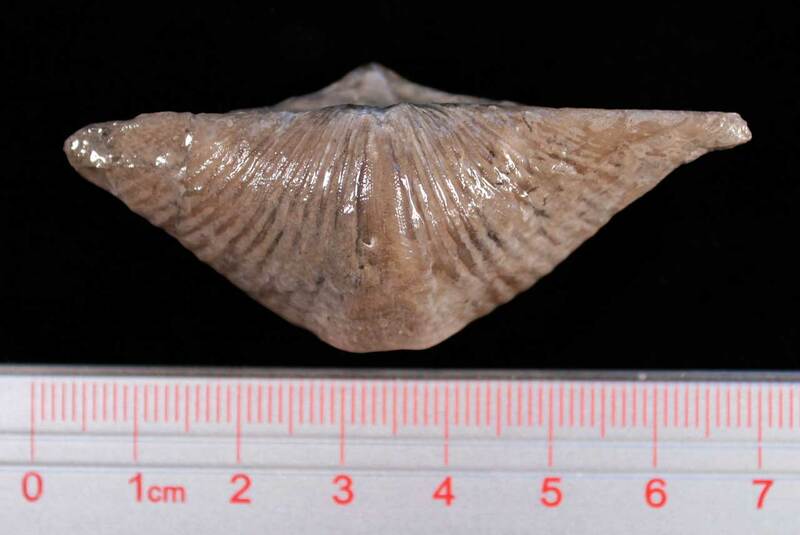 found in the Cedar Valley formation of Benton County, Iowa. 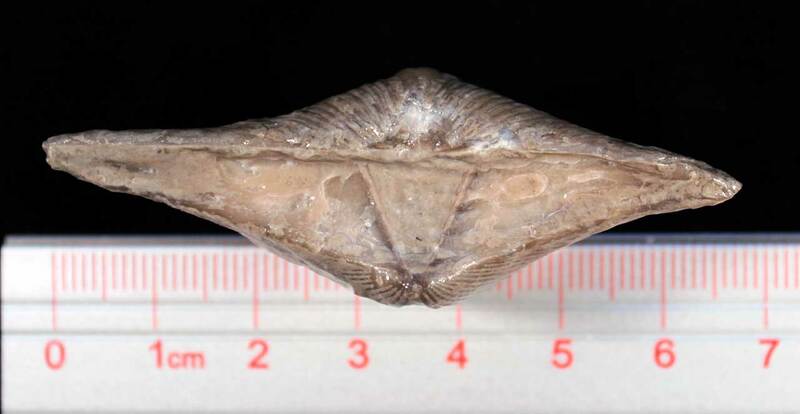 It lived in the Middle Devonian period. 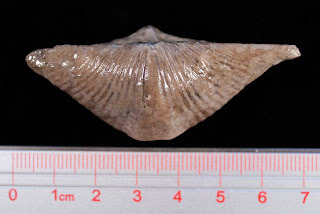 This is one large Devonian brachiopod that I have not found an equivalent genus to in the fossils of the local Jeffersonville or Silver Creek limestones. The brachiopod was photographed wet and was cleaned with a Dremel tool - stainless steel rotary brush and Dremel engraver 1-2.5 settings.